Colour: Golden with faint reddy pink hues. Nose: It’s Tomatin, but rather more fruity than you might be used to (certainly if you’re expecting this to be anything like the 15yo). Packed along with the malt notes are plums and late summer berries, it’s a sweet and inviting nose. Palate: It’s fairly oily and mouth coating (it’s not chill filtered after all), and it introduces it’s self fairly smoothly and builds to a slight fizz / sherbet. It’s sweet, but not too much, there’s a fair drop of honey and wood along with the malt and stewed late summer berries you found on the nose. Yum! Finish: The finish is warming and fairly fresh, lingering wood notes amongst the fizzy sweet fruit, and it lasts a long time with your chest getting warmer and warmer until it fades leaving blackberries and red berries on your palate. Water: Water helps brings out slight toffee vanilla notes, only pop a drop in tho! 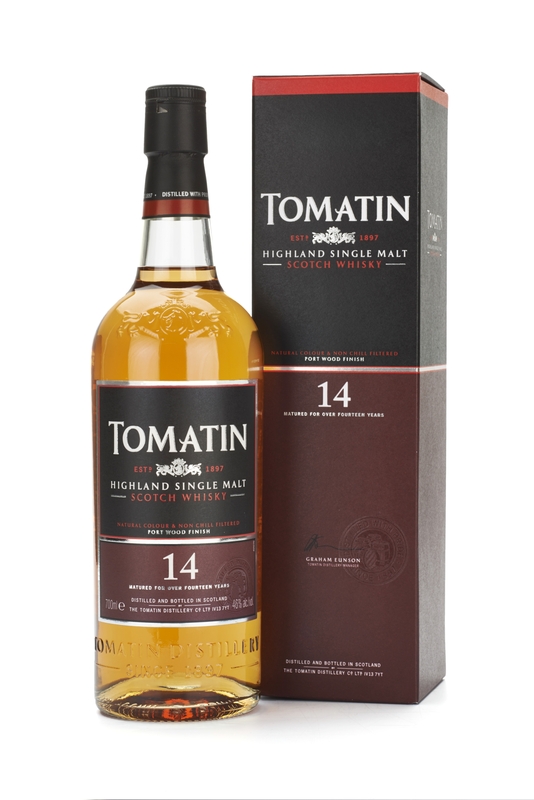 Thoughts: Great stuff from Tomatin, it’s recognisable but most definitely different and a very successful addition to the range, it almost makes me not miss the deleted 15yo (almost), but really it’s just different from the 15yo so slightly hard to directly compare. Thanks to Tomatin for the sample. 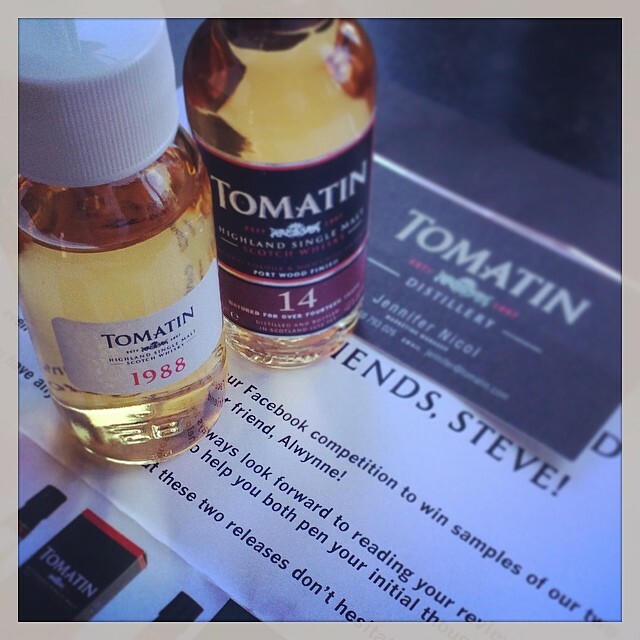 This entry was posted in Review, Whisky and tagged Tomatin. Bookmark the permalink. Another great review! I might have to pick up a bottle of this as I think the Tomatin range is great and pretty much anything finished in Port casks is fantastic! I don’t think I’ve ever had a bad port finished whisky! I do like the fact they have to state “Portuguese port pipes” hahaha.